We have had a big focus on the benefits of CBD recently, and the plan is to eventually write a comprehensive guide for ISMOKE about buying Cannabidiol products in the UK, including best methods for consumption, which products to use, and ideal dosage, depending on requirements. Today’s article is about the new Medipen CBD Vaporiser. If you want to know more about the benefits of CBD, please read this article about CBD oil on ISMOKE Magazine. 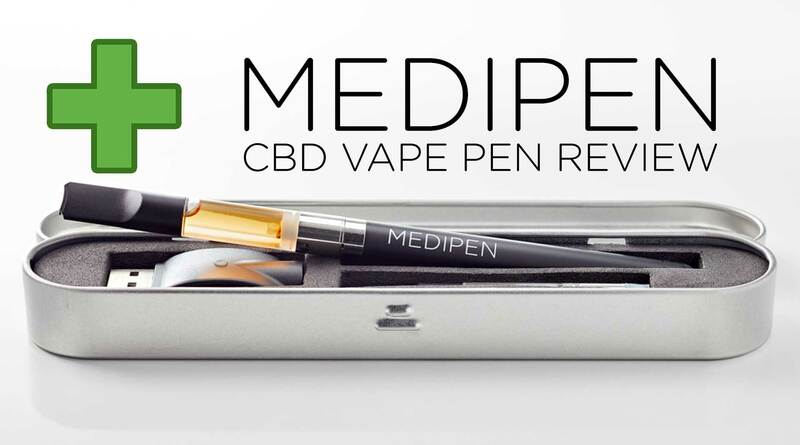 The Medipen CBD Vaporiser is formulated using a blend of CBD oil and Coconut Oil – all natural ingredients, which is great in a health-conscious market, as you don’t have to worry about chemicals and not knowing what you are vaping. The most recent test results for medipen CBD Vaporiser show 21.2% CBD and 0.2% THC – just to put that in perspective, most of the strains you have smoked will have on average less than 1% CBD and between 20-30% THC (on average). This is in part because until recently, the focus in cannabis genetics has been to breed strains with high THC content rather than high cbd content. 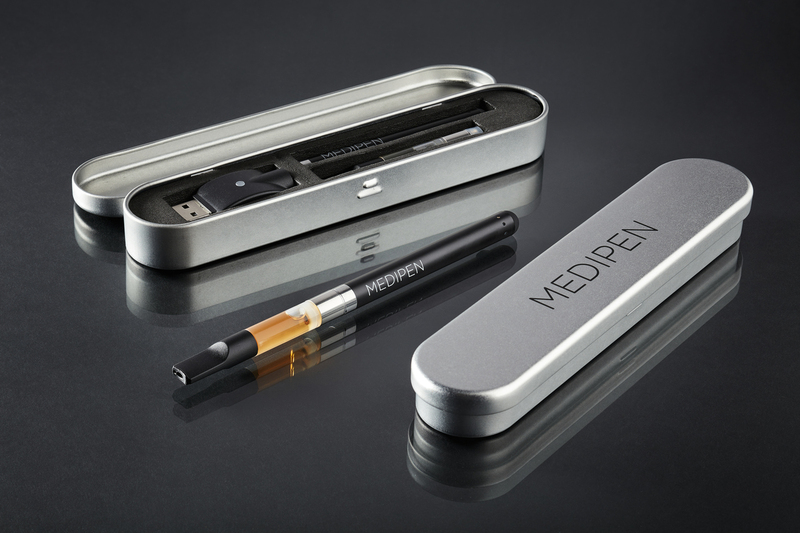 As you can see from the photo above, the Medipen Starter Pack comes in a slick box with a battery, cartridge and charger. It is very similar to the medical pens we have used from the US, with the difference being what is in the cartridge. The standard cartridge itself is almost tasteless, although Medipen does come in several different flavours. For the sample they sent us both flavourless and spearmint, and we enjoyed both equally. The spearmint cartridge tastes like chewing gum! The cartridge itself is also a different consistency to other vape pens we have tried on the market. While we are used to a thick, viscous liquid, the medipen liquid is more watery, and we would recommend smaller puffs exhaled slowly rather than trying to inhale a whole breath, which can taste harsh, probably due to the amount vaped. Medipen does not get you high. With 0.2% THC shown in lab tests, it is within EU regulations for hemp, meaning that it does not contain a controlled substance. They are not able to give specific dosage guidelines for medipen as Cannabidiol has no regulatory status in the UK, which is why Medipen are also unable to make health claims about their product. To put this another way, due to the current UK laws CBD is not seen or regulated as medicine, and Medipen can not sell this as a medical device. This does not mean that the device does not have medicinal benefits. 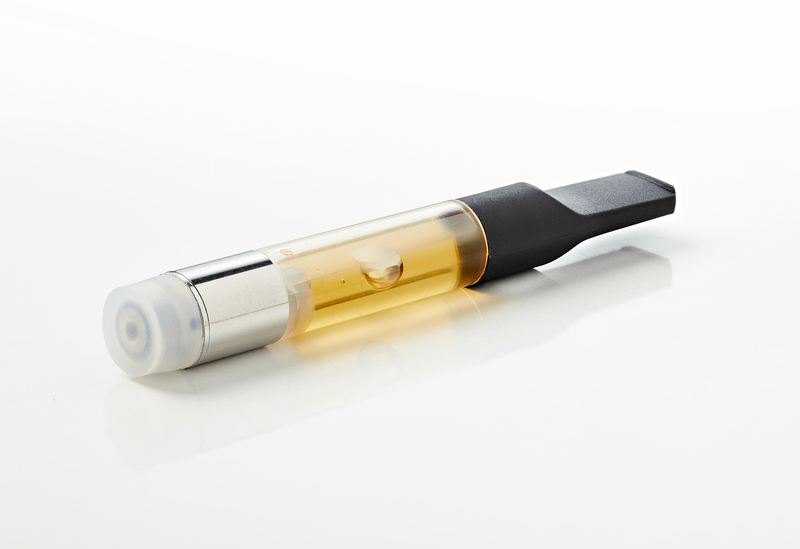 While it is not as CBD-intensive as some of the other methods of consumption we have tried, the medipen CBD Vaporiser is a great method of delivery. Because of this, the medipen may be a solution for things like anxiety attacks – this is just an inference on our part based on vaping CBD, and is not backed up by any studies quite yet, but please let us know if you have found this to be true. CBD has been proven in case studies to help with anxiety, and vaping cannabidiol is the fastest way to get it in your system. Edit 1: This article originally referred to a low dosage. However, there is a difference in how much cbd is absorbed by the body and even though each 1ml medipen CBD Vaporiser cartridge has 30mg of CBD and will be used over a longer period of time, the body will absorb more of the cbd than when consumed orally. With regards to the coconut oil, this is a very good question and something that a lot of consumers (and even suppliers) fail to acknowledge which could potentially lead to several issues. You are correct in saying that vaporising any oils high in fatty acid content can lead to conditions such as Endogenous Lipoid Pneuomonia, however please rest assured that we only use safe & tested ingredients designed for use in portable vaporisers. Overall, we were impressed with Medipen. The branding and packaging is on point; it is discreet, and it tastes good. While not the strongest CBD product on the market, you’re getting a full spectrum of cannabinoids (except THC), and the cbd in particular in higher dosages than when smoking your standard and high THC strains. If you are looking to get into consuming CBD, this could be a great entry product as it allows you to test out the benefits of CBD for a reasonable price. You can buy the Medipen CBD Vaporiser online here – prices start at £24.97 for one cartridge, or £49.97 for a starter pack, which includes a cartridge, medipen battery and usb charger. 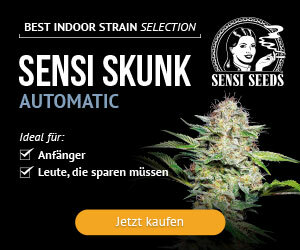 The company states that: The MediPen® is a premium product due to the exclusivity of our Cannabis plants, grown organically for a very bespoke target demographic, containing only trace amounts of Delta9-Tetrahydrocannabinol (the principal psychoactive constituent of the Cannabis plant which is illegal). Due to the exceptionally high content of CBD in our oil this gives our formula a significant advantage over similar hemp based products, as outdoor grown hemp typically contains between 2-5% CBD whereas our exclusive strain contains upward of 20% CBD based on our most recent analysis. 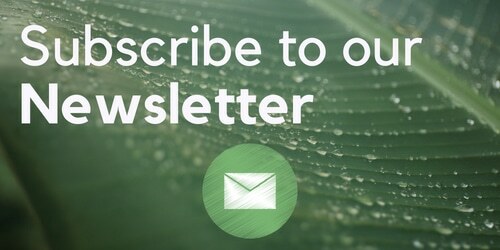 Medipen is also is running a campaign help legalise medicinal cannabis in the UK. You can find info and join their campaign at MediMonday.com. The goal behind #MediMonday is to use the feedback of real medicinal users to publish a comprehensive report that will obliterate the negative connotations surrounding Cannabis once and for all.